Hardware connection: No need for peripheral. Cautions: CLK (IO6), SD0 (IO7), SD1 (IO8), CMD (IO11) of ESP32 is not supported temporarily. Result: on-board LED light blinks. Result: press/ release bottom, LED light turns on/turns off. Result: all analog data been read printed to the terminal. Result: activate on the rising edge, the switch of LED light changes each time when you press the bottom, accompanying with blinking effect. Hardware connection: connect GPIO25 and GPIO26 to an oscilloscope. 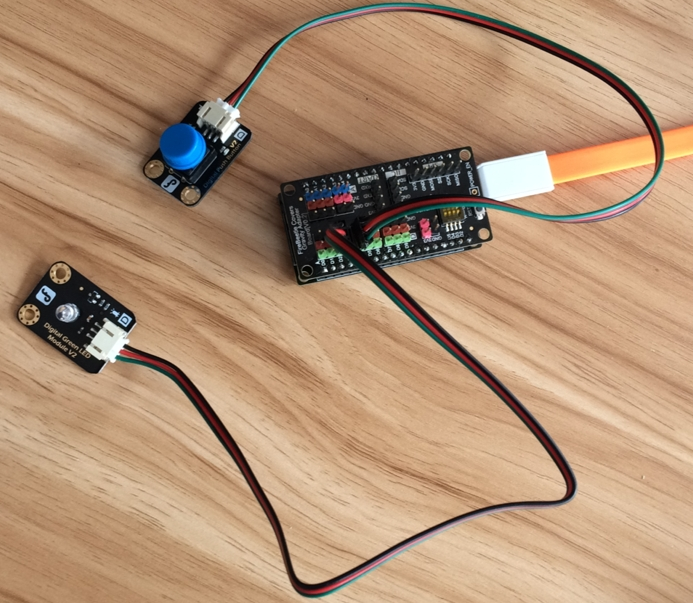 Result: run the code and ESP8266 enters low-power consuming mode. Wake up in 3 seconds, running the code again, message about the reason of resetting is printed: woke from deep sleep. Caution: the chip resets once wake from deep-sleep.